The Xperia XZ Premium has been enjoying a tasty Oreo treat since last month, and now two more Sony smartphones are finally ready to join in the fun. 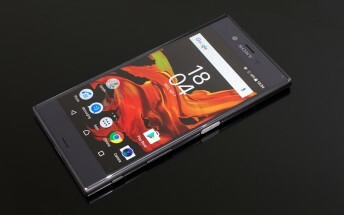 The Japanese company has started sending out the update to Android 8.0 to the Xperia XZ and the Xperia XZs. In both cases, the new software arrives with the build number 41.3.A.0.401. You're looking at a 1.2GB download necessary for the installation, so make sure you have enough mobile data if you grab it that way - or just use Wi-Fi. The update bakes in the November security patches too. The same release should be headed to the Xperia X Performance in a short while, so it looks like Sony wants to end the year on a high note - with regard to software updates. As you can see from the screenshots above, the company mentions it's included a Reminders feature that consists of "useful prompts" for unfinished tasks such as draft emails and messages, while Xperia Actions are intelligently suggested settings based on your usage, now gaining new gaming and commuting functionality.